Eclectic Movie, Book, TV, Music Reviews…and a cup of joe. Pour one for Peter O’Toole. And now for Part 2 : The Exciting Conclusion. Thanks to guest writer Mark for his excellent review! 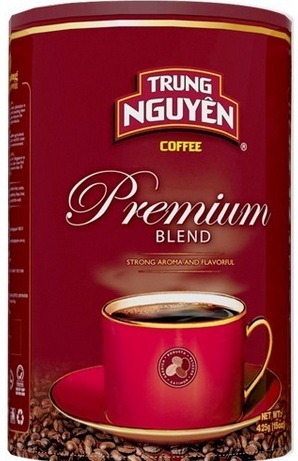 I picked this Vietnamese coffee up at the local Asian grocer without knowing really what it is (I was there, I needed a new coffee to try). I didn't know it was flavored, and I don't usually like flavored coffee, but this one is kind of interesting. A good kind of interesting. It is made of both Arabica and Robusta, and has coffee flavor (coffee flavored coffee, eh? ), butter flavor, and cocoa flavor. It smells heavily of chocolate when you stick your nose in the can (as I like to do), but after brewing the cocoa flavor is somewhat muted. You could try this as a dessert coffee (though it is caffeinated), but I mostly had this in the afternoon and found it to be quite pleasant. It is also good iced, and is a nice alternative to sugary coffee drinks (although it is sugar-free it does have some fat, so check the nutrition label on it). The butter flavor in particular may sound odd to some of us Westerners, but if you have a chance, I highly recommend trying it. I've a life-long passion for movies, music, and books (I've only recently gotten into television). While I don't consider myself a "foodie" or "coffee snob", I definitely take my coffee seriously. I have a background in literature, history, and media studies. © Coffee & a Review 2012-2018.